An invitation to dream and travel ! In the port Camille RAYON, Muriel Sarrien is situated in a prime location as her office is near the Capitainerie. Close by the nerve centre of the port, the young female entrepreneur appreciates such a benefit offering her a good showcase for visitors and regular customers of the port. The manager of M Yacht consulting also insists on the safety, as she sometimes works late at night because of emergencies, or the different time zones, this point seems essential. In addition to the security aspect, Muriel points out the human qualities and the skills of the whole team of the port. “They always smile and find suitable solutions to each of our questions when we asked them. With my experience I can say that it is not the case in every port!” She says. Muriel did not decide to create her company without experience, indeed, she knows well the yachting Industry. “I worked 18 years in a company located on the port Camille RAYON”. Once her decision taken, Muriel has to find a place to base her company, where she feels at ease for the development of the business as well as the quality of life. The “wanted notice” is carried by the wind to the Port Camille Rayon and when Olivia Lara Rayon, the director is aware of it, the two business women quickly closed the deal. However, in addition to her passion for yachting, Muriel Sarrien added her personal touch by being the representative of the JFA Shipyard. “It’s a shipyard in Brittany building single boats for a clientele willing to sail around the world, each part is unique and has today’s technology and comfort while preserving “a retro look on the outside”. Somewhat like the XXth century pioneers ready to raise anchor and cast off for adventure. 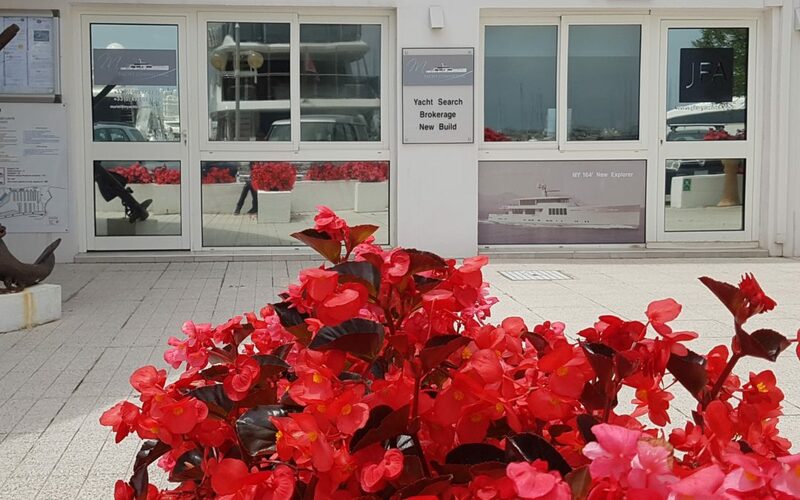 Now, M Yacht Consulting is an entity in itself on the Port Camille Rayon and Muriel Sarrien has no regrets for what she describes as her “moment of madness”. The passion for the sea and the boats was strongest and pushed Muriel to get closer to the ones who shared her love of the sea.